Home » Movies & TV » Downton Abbey » Missing Downton’s Matthew Crawley? Missing Matthew Crawley in Downton Abbey this season? 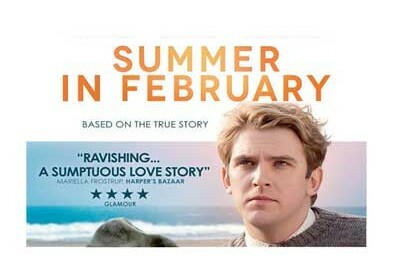 Well now you can see British stage and screen actor Dan Stevens, known worldwide as Matthew Crawley, in the new period drama Summer in February. This sweeping romance is set in the familiar picturesque coast of pre-war England. The deeply moving and tragic love story is written by Jonathan Smith, and is based on the true story of painter Sir Alfred Munnings and his blue-blood best friend Gilbert. The love triangle tale, set in Edwardian England against the timeless beauty of the Cornish coast, stars Dominic Cooper, Emily Browning and, of course, Downton Abbey favorite, Dan Stevens. Although the reviews are lukewarm, who can resist an authentic romantic triangle, beautiful period costumes and a gorgeous British setting? The film can be seen now in theaters and on demand. What to do until you can join the Grantham's in season five of the hit period costume drama.